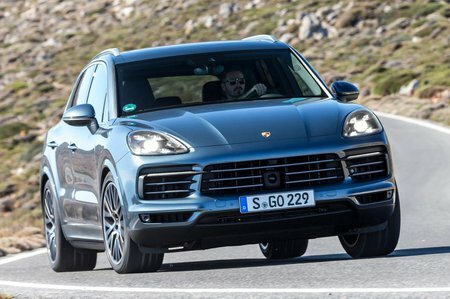 Porsche Cayenne Turbo 5dr Tiptronic S 2019 Review | What Car? Fine handling and strong performance in a very practical package. Given the huge price difference, you’ll be pleased to know that you do get plenty of extra equipment with the Turbo variant. This includes air suspension, 21in wheels, even bigger brakes, Turbo-specific exhaust pipes and body styling, a Bose stereo, heated front and rear leather seats and an Alcantara headlining. This 542bhp monster can accelerate from 0-62mph is just 3.9sec with the optional Sport Chrono Package, thanks to a 4.0-litre twin-turbo V8. It sounds a little more muted than the S and the heavier engine means it isn’t quite as agile. A bit of an overkill.